One year after Republicans in the House of Representatives voted to strip 23 million Americans of their health care, Health Care Voter has released a new battleground poll showing that voters in Colorado’s 3rd congressional district are poised to hold Congressman Scott Tipton accountable for cruel and careless attempts to undermine the health care system. The new polling shows that voters in the district are less likely to vote for Congressman Tipton following his attacks on the Affordable Care Act (ACA). The survey also shows that most voters believe lawmakers should strengthen the existing law, rather than repeal it. [I]]t is clear from this survey that Scott Tipton is viewed unfavorably, will face a tough re-election campaign, and remains burdened by the issue of health care. • Approval rating: Just 32 percent of voters approve of Tipton’s job performance, while 44 percent disapprove. • Election matchup: Tipton is supported by 44 percent [of voters] compared to 42 percent supporting his Democratic opponent – a statistical dead heat. • Health care repeal vote: 44 percent are less likely to support Tipton because of his vote for repeal, compared to 34 percent who are more likely to support him. Last year’s (mostly) failed assault on the Affordable Care Act is broadly acknowledged to be a political disaster for Republicans no matter where you stand on the law itself. 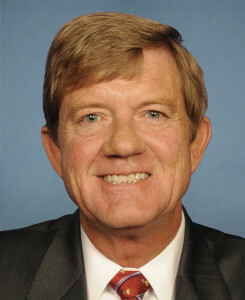 The failure to pass repeal angered conservative opponents of the law, while the attempt to repeal–which Tipton made no attempt to distance himself from unlike some other representatives in competitive districts–fully alienated the majority of voters either in support of the ACA or at least not already indoctrinated against it. The result is a major sore point with voters on both sides that Scott Tipton has no good answers for. Tipton’s vulnerability is a warning to a large number of what would be considered second-tier incumbent Republican targets that they are vulnerable too in this historically negative environment for their party. If the 2018 wave grows large enough to sweep Tipton from office, enough Republicans will precede him in defeat to flip the House to Democrats by a healthy margin. These numbers say it can happen. This could be a winning issue on the Western Slope and SLV. Premiums in our neck of the woods are highest in the state and ski towns worst of all. But will deep support for Trump elect Tipton again? Despite the fact that his district has better party affiliation breakdown for the Republicans, I always thought this clown was more vulnerable than the shorter Coffman. It's going to be all about the GOTV, especially for the unaffiliated voters. The same people who have always voted for "Howdy Doody" Tipton will continue to vote for him, no matter what he does or says on health care and public lands. But the R registration advantage in CD3 (R 154K, D 128K, U 150) is not that critical…if unaffiliateds can be persuaded to at least investigate the D candidates. Primary season, candidate forums and meet and greet events will be important. Can we appeal to people's informed self – interests? Tapia couldn't. Maybe Diane Mitsch Bush can. She is a very appealing speaker, and has the background to appeal to the base of CD3. She's gotten some big endorsements, but her money is lagging. (364K filed w / FEC in April, vs Scott Tipton's 697 K total). Tipton's contributions from individuals are almost identical to Bush's, though – he's getting most of his support from his campaign committee and an agricultural PAC. My own CD4 district is even redder, with the same demographics as CD3, but we're giving Ken Buck a good challenge, and we have a plan to win. Good luck to reasonable people in CD3. Reach out to those unaffliated voters. Well, progressive Ds electrified the west. Electricity is good. Social Security and Medicare. Won World War II. These were good. So, maybe. And I am hopeful. But seeing is believing. Was it PPP polling in 2009/10 that showed that Colorado favored a public option as part of the AC? It isn't enough to "be hopeful". Get active. I know you were a delegate to state assembly; so hopefully, you're active in your district. Walk, make calls, donate, do candidate and issue meetups, whatever. There will be no democratic superheroes to save the day. Just people like us, doing what we can. Polls on the public option were all over the place nationally; everyone with an agenda anywhere on the political spectrum was finding that the public agreed with their point of view. IIRC, Coloradans did favor the public option. But those polls are vanished from the intertubes now. I make snarky comments online and I vote. What more could anyone be expected to do? I think this is Tipton's last hurrah. Diane Mitsch Bush is formidable.